I'm not playing favorites here.....well, maybe a little bit. 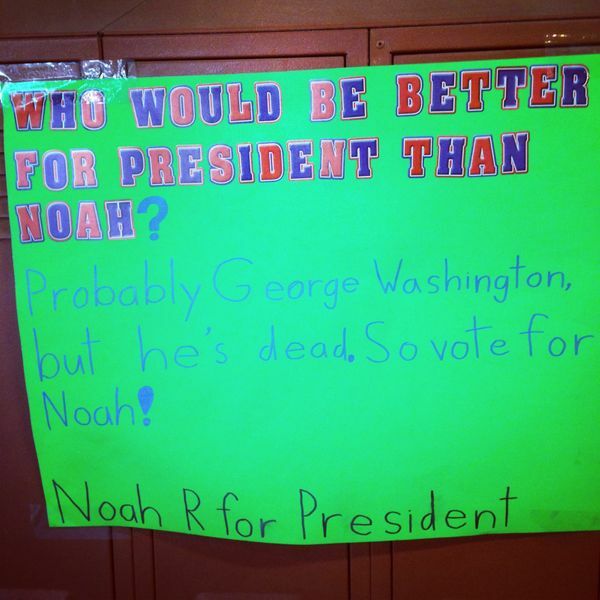 There are so many creative and beautiful posters up all over the school for the upcoming Student Council elections, but this one made me laugh out loud. Nice job Noah! And good luck to everyone vying for office.